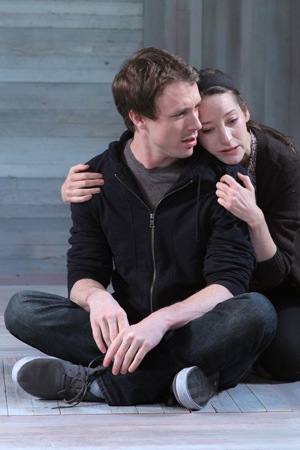 Studio Theatre’s new Lab Series — presenting stripped-down productions of new work — is off to a strong start with Duncan Macmillan‘s Lungs, a frantic conversation on the subject of parenthood and all other ‘hoods. This entry was posted in Uncategorized and tagged Duncan McMillan, environmentalism, new plays, Studio Theatre, The Studio Theatre. Bookmark the permalink.